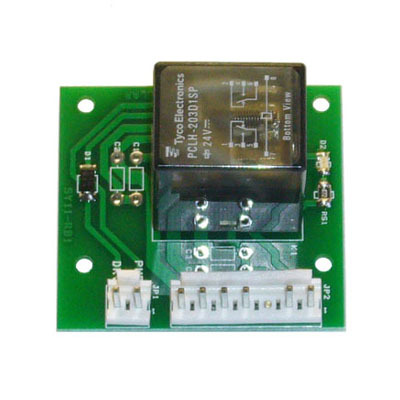 Relay board for controlling coils, motors, and/or general illumination lights, as used in many Bally and Williams games in late 1980s and early 1990s. New aftermarket replacement for original obsolete factory part. Relay on this board replaces Bally/Williams # 5580-09555-01 (24 volt cube relay). Need the 12-volt version? Use part # A-14423. BALLY: Bugs Bunnys Birthday Ball, Dr. Dude, Radical!